St. Martin's Griffin, 9781250189776, 256pp. Remake your kitchen, your taste buds, your body, and your energy level with honest, transparent and easy-to-understand recipes. Core meal planning and preparation techniques from Ibrahim's Facebook Live show save time, money and sanity. These forking delicious recipes make healthy eating simple and quick to table. 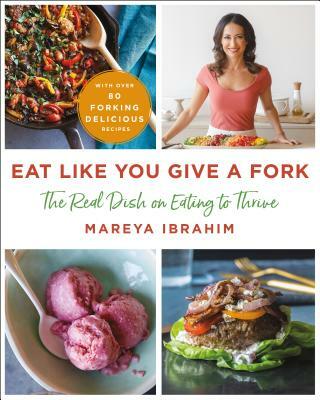 MAREYA IBRAHIM is a chef, holistic nutritionist, award-winning entrepreneur, and solo mother of two children. She is the host of the popular Facebook Live show, The REAL Dish. She designed the meal plan and detox plan for the million copy New York Times bestseller The Daniel Plan, and also serves as one of the Signature Chefs for the program.